The rise in popularity and accessibility of the Internet has provided a new means for companies to reach potential consumers. In the wrestling world it has given a means for companies to interact with fans and vice versa. Of course Internet promotion can be a double-edged sword. WWE Superstar Zack Ryder used YouTube successfully to get himself back onto TV on a regular basis. At the same time the constant mentions and schilling of Twitter by WWE announcers detract from what is happening in the ring and leads to fans thinking 140 characters of type on a webpage is more important than the outcome of a match. While WWE, TNA, and even ROH have television shows to promote their events and make the fans aware of current story lines, what do the independent companies that don’t have weekly TV do to make sure their events get proper attention? Companies have to figure out a way to get the word to the fans. In this regard, Chikara has an Internet presence that, in my biased opinion, is probably the best of any company. 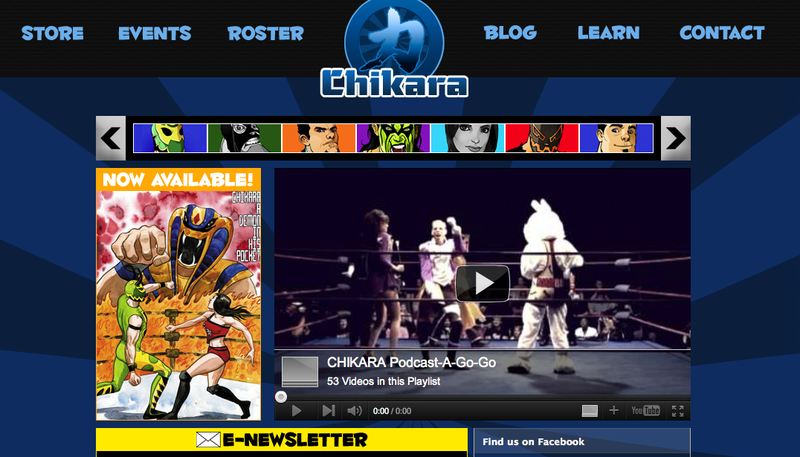 The Chikara Blog, complete with podcasts too. On their official website, the events section gives information on upcoming shows with enough advance notice there is no reason for fans not to know about any show. There is also a blog section that is updated usually on a daily basis with blogs written by members of the roster promoting upcoming matches or adding depth to ongoing feuds. After you get done getting caught up on the blogs, head over to the official Chikara YouTube channel, and watch the various daily videos Chikara posts. There’s the Special Update, the Podcast a Go Go, the Throwdown Lowdown and the Event Center videos to watch. If you’re new to Chikara or still on the fence about ordering the High Noon PPV, I highly recommend you check out the videos. If they don’t make you interested in seeing High Noon then there’s something wrong. Chikara puts so much new information on the Internet on a daily basis that I am curious as to how many people they have working behind the scenes. I know nothing about the day-to-day operations of the company but it surprises me how a relatively small company can present themselves better in the area of new media than some bigger companies with a large staff and more money. 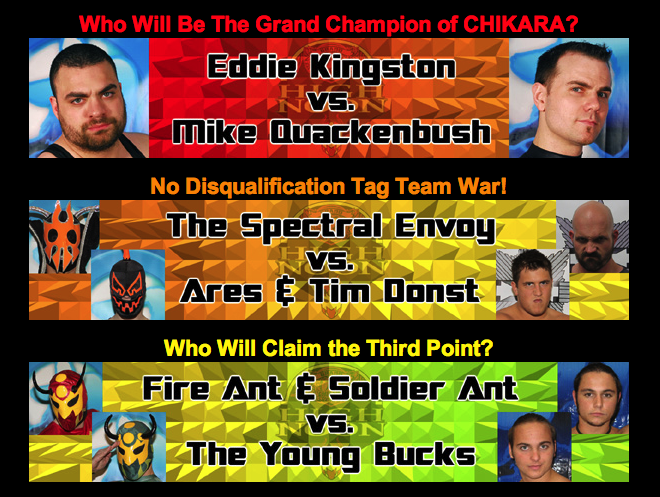 Don’t forget, High Noon, Chikara’s first Internet pay per view airs live on Go Fight Live on November 13 at 4pm. 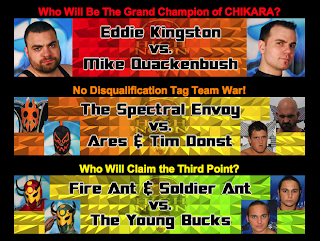 There will be a free preshow starting at 3:30 on Chikara’s UStream channel. The preshow will feature a match between Jigsaw and El Generico. High Noon can be ordered at by clicking this link. There’s another Pay Per View the same night, but if you want to get a show where wrestling is the focus and a show that will leave you wanting more after it’s over, I cannot stress how much you should order High Noon. Don’t forget to keep up to date with My123Cents on Facebook, Twitter, and YouTube. Share your thoughts. We’re always interested to hear your views and opinions.